One of the key ingredients to the SNP’s electoral success over the past 12 years is the party’s ability to adapt to alternate scenarios. As we are calling for the extension of the Article 50 negotiation period between the UK and European Union – to avoid being dragged out of Europe with no deal at the end of March – it is incumbent upon us as a party to make appropriate provisions for such a shift. Although there are no plans for the UK to take part in the European Parliament elections on May 23, it’s hard to imagine how the UK could remain a member state – even temporarily – without elected representatives at the European Parliament. Indeed, it is my view that Scotland must have representation in Europe throughout this period. So I am pleased to confirm that the SNP is open to candidate applications for the 2019 European Parliament election. We are working on the basis that the party will be vetting and selecting people to stand in the coming weeks. 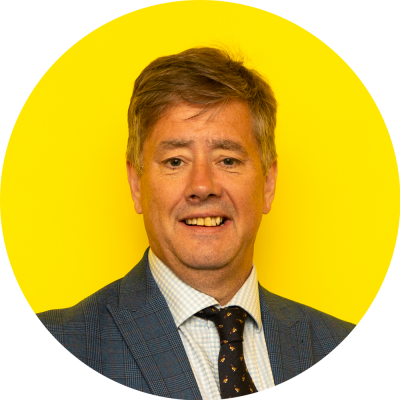 The SNP returned two of Scotland’s six MEPs in 2014, and Alyn Smith and Ian Hudghton have done a power of work standing up for communities the length and breadth of the nation in Brussels and Strasbourg over the past five years. I look forward to seeing who comes forward from the wealth of talent that exists in our mass membership ranks, and I hope to be campaigning to have them elected in little over 100 days’ time. With the Tories in total chaos and Labour obsessed with a General Election that they are in no position to win a majority in, we’re fired up and ready to go. But this doesn’t mean that we’re not focused on gearing-up for the really big campaign ahead. On the contrary, this has been a momentous week. Nicola Sturgeon has confirmed that plans for the people of Scotland to have the opportunity to vote for independence and reject Brexit UK will be announced in the coming weeks. Despite being only two weeks into the new year, this dysfunctional Tory Government is making it abundantly clear to people north of the Border that Scotland is better off independent. The Prime Minister and her bedraggled government might have clung on by the skin of their teeth this week, but she must know that the public have no confidence in her. It is testament to his own shortcomings that Jeremy Corbyn actually polls less favourably than Theresa May. But the sad fact is that Labour have been just as divided and opportunistic over Brexit as the Tories. In 2016 in Scotland every single one of our 32 local authority areas voted with a majority to remain in the EU – but our voice has been ignored from the very beginning of this whole shameful period of British political history. We can and must do so much better than this. Independence offers the opportunity for a fresh start for Scotland. And only independence will put Scotland’s future in Scotland’s hands – rather than being stuck with a failing Westminster.